Music plays an important role in our culture. It is an essential part of every child’s development. Parents instinctively know this. 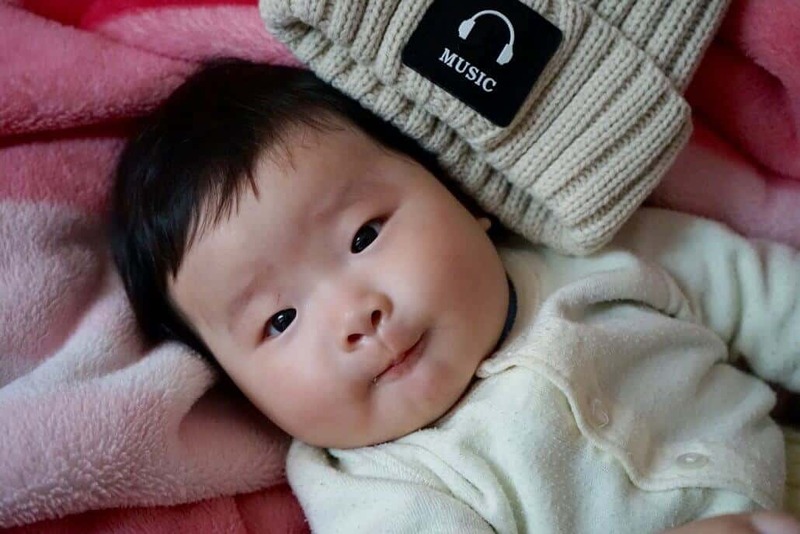 From birth, they use music to soothe their kids, to engage with them and to express their love for them. There is strong research to suggest that studying music makes learning other subjects like math and science easier. Making music involves more than the using the voice to sing or the fingers to play an instrument. That’s because a child learning about music has to tap into multiple skill sets, often at the same time. Learning this ‘brain coordination’ helps them make faster progress when learning other skills. When kids are learning music in a group setting, they get to interact with each other, help each other, and work together. This greatly improves their social skills. Music can inspire creativity. A lot of the activity needed to sing or play an instrument such as the ukulele requires some form of creativity or even improvisation. Children learn to tap into their inner creative spirit which can help them be creative in other areas of their lives. A lot of times kids will perform what they learned in front of their parents, teachers or classmates. Performing helps them develop confidence in front of others. And it’s also a great way to encourage kids to express themselves. Also, learning music is hard. When a child masters something that used to be difficult for them they feel more confident tackling a new challenge. Studies show that music study can boost a child’s IQ. 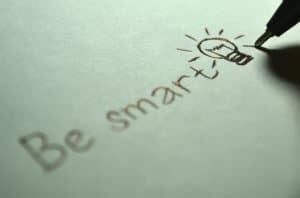 Kids who took piano lessons consistently for one year saw an IQ bump as high as 3 points- this is according to Jessica Grahn, a cognitive neuroscientist at the University of Western Ontario. When your child plays the ukulele, they learn how to create, store and retrieve memories more efficiently. This is the equivalent of giving their memory a workout. And who couldn’t use a better memory? The process of learning an instrument teaches kids to persevere and be patient. For many music students, especially those who are quick in school, playing an instrument is the hardest thing they have ever tried. Through music study they learn the importance of daily effort and also how to manage frustration. After they achieve their goal, say strumming to their favorite tune on the ukulele, they’ll feel a sense of satisfaction and achievement that will ripple through to their other activities. Want your kids to learn ukulele quickly and easily? Ukulele For All is the ultimate guide to mastering this popular, versatile and accessible instrument. The unique UFA pedagogy begins with one chord songs to give all students instant success as they learn solo and ensemble skills. So out of all the instruments, why the ukulele? There are numerous reasons why the ukulele is a perfect instrument for all ages and you can read our blog here to know all about that. Today, we are interested in three characteristics that make it perfect for kids. 1. The ukulele is small and portable. A six-year-old child can easily hold a soprano ukulele without straining his or her hands. Kids can easily carry it on school trips and play it for their friends. Kids love the ‘baby guitar’. It is surprising how fast someone can move from “just starting” to “sounding pretty good” with regular daily practice. This ensures that kids can quickly begin playing their favorite songs without needing to learn a lot of chords. 3. The ukulele is very affordable, especially compared to a piano. So you might be wondering how to go about shopping for the ukulele. No worries, we made a couple of videos just for that purpose. 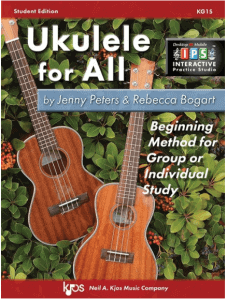 A lot of the time, kids will begin ukulele lessons by learning to play a song. In order to help your child stay focused on learning an instrument, you need to help them pick the right songs to practice. You need to capture your child’s interest. If they are playing a song they know and like, they are more likely to be willing to work hard to learn it. They will definitely practice more because playing songs they like is exciting, satisfying and fun. If the learning curve if too steep, kids tend to back away from a challenge and label the activity as “too hard”. It is therefore important at first that they stick to songs with only one or two chords. A harder song can always be modified to use fewer chords. As their skills grow, they can start to play songs with more chords. Everyone learns faster by playing a greater number of easier songs building up gradually to more difficult ones. Starting with too hard of a song can lead to an abrupt end to music learning! Select a song that has a meaning and teaches something. Songs are part of our culture. Most songs communicate ideas and messages, some of which may not be beneficial to your child. Learn to listen carefully to the song lyrics. Choose a song that teaches your kid about history, science, your values or faith or the like. This type of song will not only grow the child’s musical skills, it will also ensure that they learn something beyond music. Incase you didn’t know, we have a great collection of YouTube video tutorials covering popular hits. Your kid could easily follow along. To show you what we mean, below is a video tutorial for Country Roads by John Denver. Click the button below to subscribe to our YouTube channel and learn many more songs and great ukulele skills. Music is a wonderful way for kids to have fun, learn, grow, and develop as human beings. Through music study, your kids will become faster learners, grow their social skills and be inspired to be creative. Studying music can also boost a child’s confidence, memory and patience. The ukulele is a perfect instrument for children to learn music. Its small size and ease of learning make it an instant hit with the kids. Carefully choose the songs your kids study. Look for songs your kids like that also communicate a beneficial message. So what are you waiting for? Head over to the nearest store and buy your kid a ukulele. You can have fun watching them grow as they learn.